The Gift of Nothing. We all have one or the other friend who doesn't need anything and doesn't want to have gifts. So the question is: what to buy? 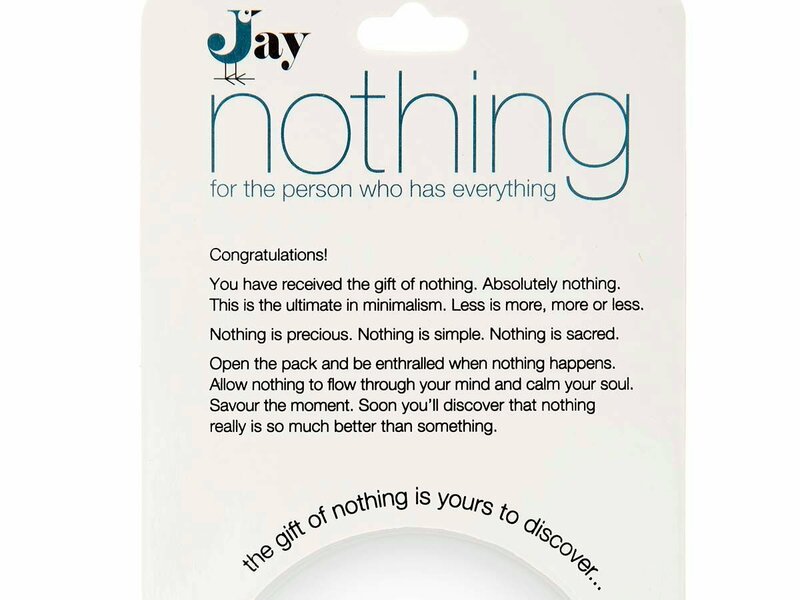 Nothing-the perfect gift for the person who wants nothing or already has everything!.